Soak cucumbers and onions in salt water (1/4 cup for each qt. water) for 2 hours. Drain well, Boil together the remaining ingredients. 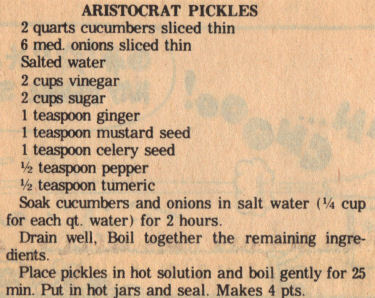 Place pickles in hot solution and boil gently for 25 min. Put in hot jars and seal. Makes 4 pts.